Savvy Spending: Ebay: New KitchenAid Heavy Duty Pro Stand Mixer for only $175 shipped! Ebay: New KitchenAid Heavy Duty Pro Stand Mixer for only $175 shipped! 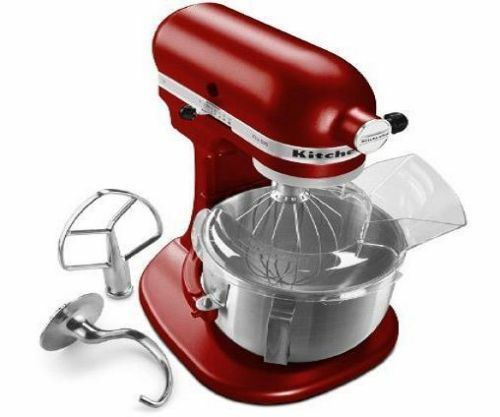 Ebay has this KitchenAid Heavy Duty PRO 500 Stand 5-Quart Mixer for only $175 (regularly $349.99) and free shipping! Choose from 4 different colors: Empire Red, Cobolt Blue, Onyx Black and Tangerine. Hurry, may sell out quickly! Top Cash Back offers 1.25% cash back at Ebay... which is a little over $2 back--- but if you're shopping online anyways, you may as well add to your Top Cash Back funds!